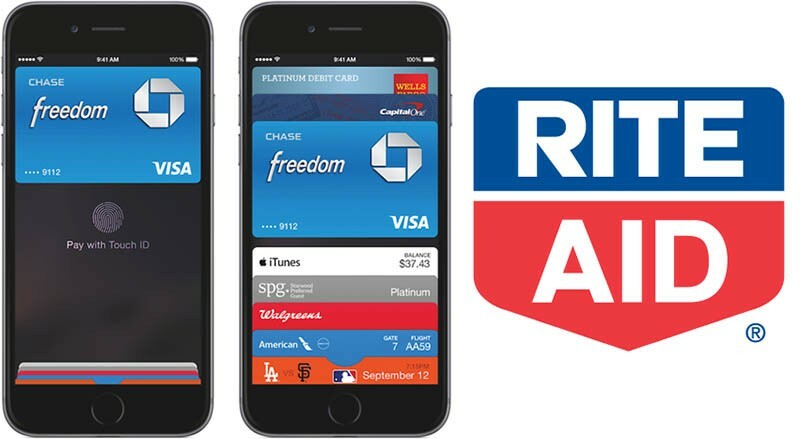 Rite Aid today announced that its 4,600 stores across the United States will begin accepting Apple Pay and Google Wallet starting August 15, nearly one year after the drugstore chain and CVS infamously disabled support for the iPhone-based mobile payments service nationwide. Rite Aid will also support Google's forthcoming Android Pay service when available. Rite Aid and CVS spurred a controversy last year after disabling Apple Pay and Google Wallet as payment methods last year, likely because both are members of the Merchant Customer Exchange (MCX) consortium, which has its own mobile payments service called CurrentC. MCX launched in August 2012 with a three-year exclusivity period for all members, which ends this month. Apple responded to the Rite Aid-CVS situation last year by stating that Apple Pay feedback from customers and retailers was "overwhelmingly positive and enthusiastic" at the time, and the mobile payments service is now available at over 750,000 locations in the United States and United Kingdom. Other MCX members that remain without Apple Pay support include Walmart, Target and Lowe's. Can we all please just agree that Apple Pay is a total failure just like the new macbook air, apple watch, apple music.... Pretty much everything new created/announced under Tim Cooks awful management. I can't wait until he is canned. Umm, the wealth of articles showing that people are now reversing course and accepting Apple Pay would indicate the opposite. It took them long enough. They lost a lot of business from me, I drive a little bit further to Walgreens because of their stupid decision of not accepting Apple Pay. "Nearly one year" contractual obligations I guess. The MCX consortium launched in August 2012 with three-year exclusivity, so I imagine Rite Aid won't be the last of the MCX charter members to announce Apple Pay support in the coming weeks. Use /s in future if that's the case Derekuda, there are far too many Apple haters with identical criticisms on this forum, so most people here just take what you said at face value. Why do I sometimes feel like Poirot on this forum, honestly. Seriously, I am very happy as this is where I get all my prescriptions for the sole reason that it is within walking distance from my house.